We Made It ! Today Is the Day ! 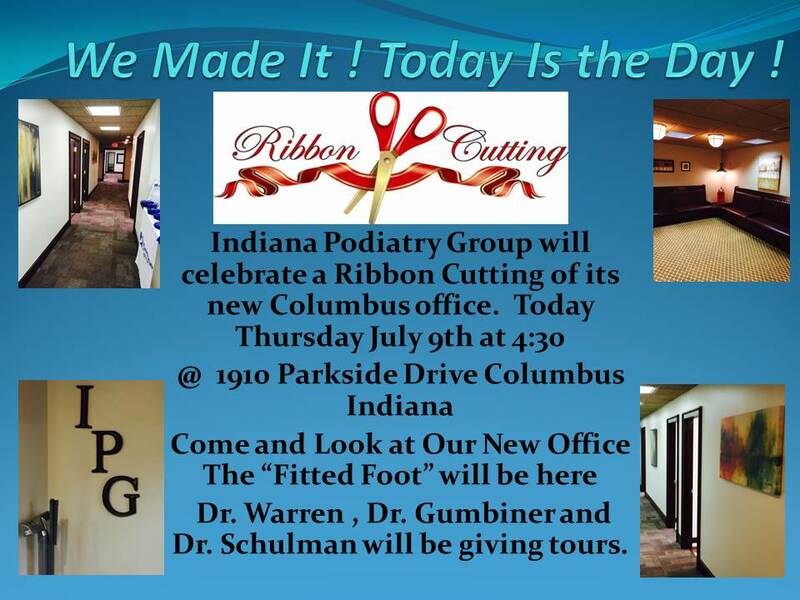 Indiana Podiatry Group will celebrate a Ribbon Cutting of its new Columbus office.